I am an Oconee County High School graduate. After high school, I attended the University of Georgia and Bessemer State Technical College. I earned a degree as a Licensed Practical Nurse and worked as an OB-GYN nurse for two years. I then enjoyed staying at home with my children. When I decided to go back to work, I worked as a substitute teacher for one and a half years. 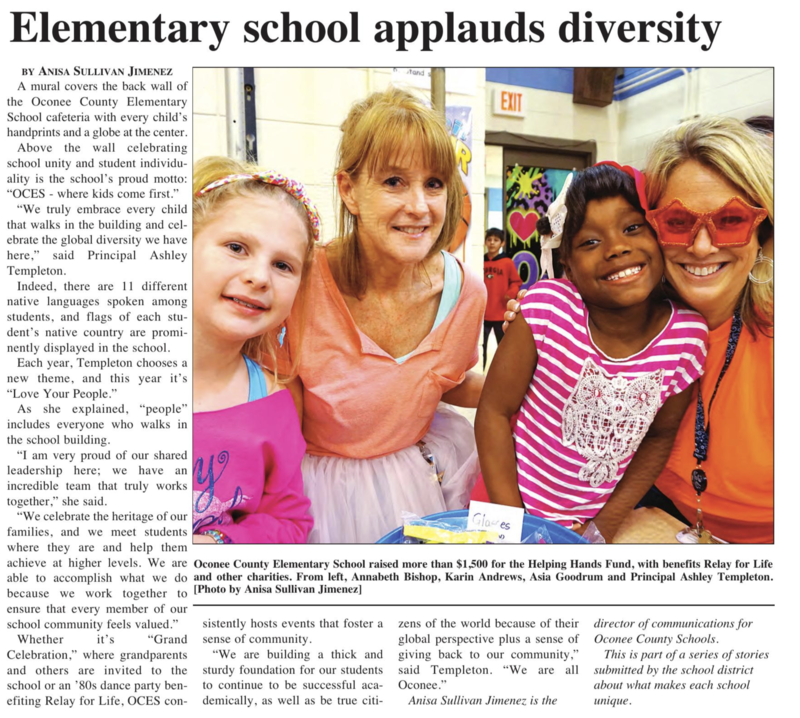 In November 2014, I started working as the fifth grade paraprofessional at Oconee County Elementary School.